The DIY Joint may be relatively young as an organization, having only been involved in the West New York and New Jersey community since 2016. But what we lack in long-time experience we make up with innovation and passion. Our founder and owner, Priscilla Van Houten, had a dream to share the joy she found in creating something with her hands from scratch. After years of being intimidated yet intrigued by DIY shows on television, she conquered her fear of hand tools and began to explore the world of carpentry and woodworking. She, like all of us have come to learn, considered it something of a lost art for western culture. To tap into this deep-seeded joy within the act of tangible creation, Priscilla founded the DIY Joint; a fun and welcoming place where people of all abilities can not only learn woodworking, but create a beautiful table or piece of furniture for their own home. Our mission is to empower women, men, and children with the woodworking skills, space, and tools to make more. 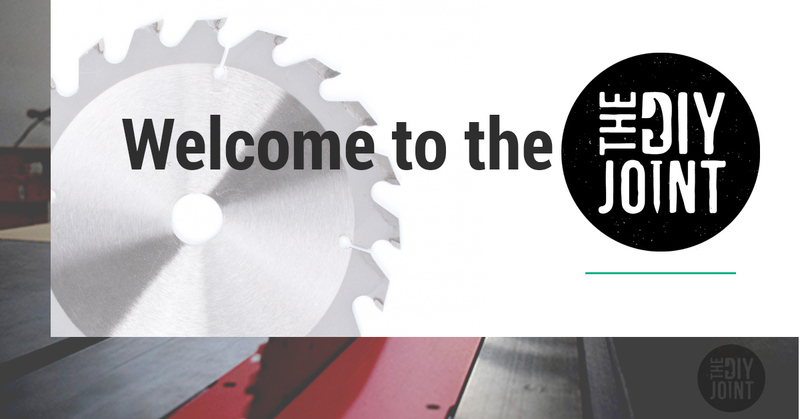 At The DIY Joint, we welcome all skill levels for our woodworking classes for beginners. It doesn’t matter if you have never picked up a power tool in your life, or are Jesus Christ himself (a carpenter by trade). All are welcome and we have something for every skill level. Learning a new skill is often very intimidating, even our founder knows that. a primary reason why we have founded The DIY Joint is to address this underlying fear. We not only provide you with all of the tools you will need to make a plant stand or a picture frame, we also teach you how to use them. Speaking of making a picture frame, check out our upcoming workshops for a wide variety of projects for this spring and summer! Hand Tools – including quality brands such as Lie-Nielsen, Two Cherries, and Veritas. Handheld Power Tools – including power drills, circular saw, and jigsaw. We ask that anyone who wants to use our studio complete a minimum of 1 qualifying carpentry workshop prior to reserving studio time. Studio access is available to beginners, experts, and hobbyists alike, we just like to make sure you know what you are doing in regards to the fundamentals of learning carpentry before we turn you loose under our roof! Hourly packages are available for open studio time as well. 1 hour of open studio time is $18, 5 hours is $75, 10 hours is $140, and 20 hours will cost you only $260. Keep in mind that each package has its own expiration date (for example 1 hour expires in 14 days). If you are taking one of our woodworking classes or using our studio, you don’t have to worry about storing your project. We offer affordable daily and monthly storage options for both your tools and projects. You can check out where you can reserve storage spaces, as well as pricing, here. We hope you have enjoyed our initial post introducing you to us over here at The DIY Joint, found just west of New York, in Hoboken, New Jersey. Remember that studio hours are by appointment only, so drop us a line or give us a call at (551) 222-8700 to schedule a tour of The Joint! In terms of woodworking classes offered this spring, we have an Introduction To Furniture Making class that we are very excited about. We have just opened up two more classes in April due to popular demand, so don’t hesitate to sign up before it’s too late!